Sony has another round of big trade-in bonuses for the A7 II, A7R II and A7S II cameras through April 1, 2017. 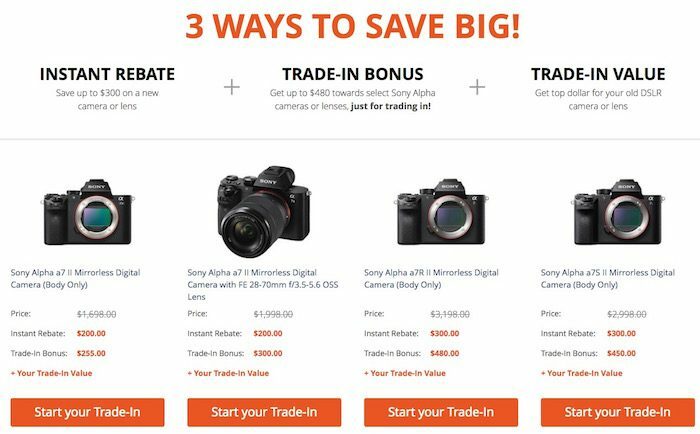 You can trade an old DSLR or lens in for credit toward a Sony camera or lens and get up to $480 in bonuses on top of the trade value. B&H has a dedicated page set up so you can select the Sony camera and/or lens you want, then choose your gear to trade in and get your instant rebate and trade-in bonus all at once. For example, the A7R II retails for $3198 and has a $300 instant rebate and $480 trade-in bonus for a $2,418 price before counting the value of your trade-in equipment. Check out all of the options here at B&H Photo. ebay (via Electronics Valley) has the Sony A7S II for $2299 (reg. $2999) in limited quantity. Check it out here on ebay. Note, this is a gray market camera. ebay seller Electronics Valley has a positive feedback rating of 99.7% at the time of this post. The Sony A7S II is now available and shipping to customers. Right now, B&H has the 12.2MP full frame camera in stock with free expedited shipping. Recall that the A7S II records 4K video as well as 1080/120p video internally to SD cards. Check it out here at B&H Photo. B&H sent out a notice that the Sony A7S II will start shipping this week on Friday, October 16. Pre-orders will ship out first and additional stock will be subject to availability. Check it out here at B&H Photo. 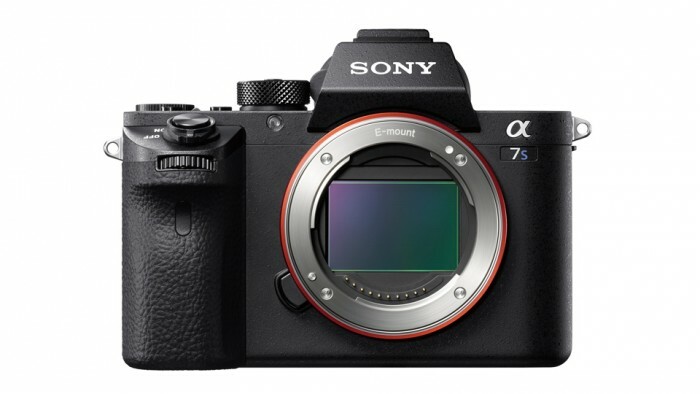 The recently-announced Sony A7S II is now available for pre-order with shipping starting on October 16. Pre-orders are shipped on a first come, first served basis. Recall that the A7S II adds 4K internal recorder and 5-axis image stabilization on the sensor like its sibling A7R IIand A7 II models. You can pre-order now here at B&H Photo.